There is much speculation about how artificial intelligence (AI) and machine learning (ML) will shape our future. While the extent and direction of this impact remain to be seen, AI will surely transform social, legal, economic transactions across societies. Some experts warn us to expect AI and ML to be biased, others have experimentally shown that biases in our datasets translate directly to biases in classifications and predications made by AI (see Frankl-Duval 2016, Garcia 2016, or Baeza-Yates 2016). Some experts go further to assert that the biases in AI algorithms are reinforced by the lack of diversity in the community of computer scientists, developers and data wranglers that are pushing us into the next epoch of human-AI interaction. We have our work cut out for us. This series is part of my broader interest in creative explorations of AI and ML. 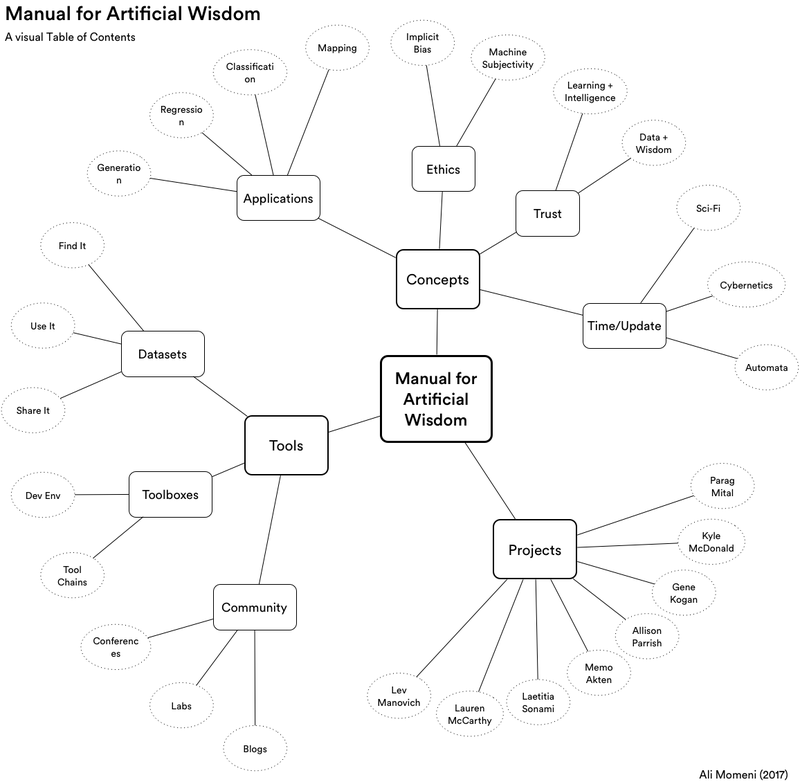 This effort includes the creation of ml.lib, an ML/AI toolbox for artists and musicians working with Max and PureData, as well the publication of a "Manual for Artificial Wisdom", modeled after my "Manual for Urban Projection", co-authored with Stephanie Sharman in 2015. 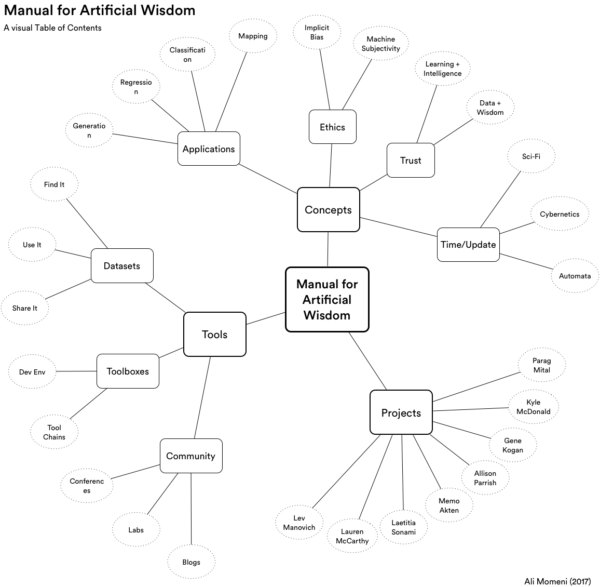 You can view and and table of contents of "Manual for Artificial Wisdom" here. "Machine Learning for Artists and Designers" workshops were generously supported by Carnegie Mellon's College of Fine Arts, School of Art, School of Architecture, School of Design, School of Music, School of Drama, Human Computer Interaction Institute, Carnegie Institute for Technology, the Frank-Ratchye STUDIO for Creative Inquiry and the Integrated Design Engineering Art and Technology programs. "A Manual for Urban Projection" was sponsored by Creative Capital.